Dr. John Orr Dwyer of Washington DC passed away on June 22nd at Potomac Valley Nursing and Wellness Center in Rockville MD. The cause of death was complications from Parkinson’s disease. The son of John B. Dwyer and the former Elinor Orr, Dr. Dwyer was born on March 10th, 1938 in Philadelphia PA. 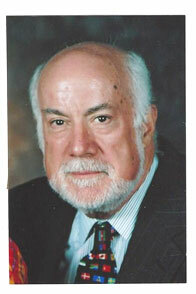 He grew up in Wellesley MA and was graduated from Wellesley High School in 1956. Dr. Dwyer earned his BA and MAT from Yale University in 1960 and 1961 and was awarded his PhD by Columbia University in 1972.
primarily Uganda. In 1962 he joined Teachers for East Africa, a precursor to the Peace Corps, and taught in rural mission schools. Dr. Dwyer married the former Cornelia Johnson, of Atlanta GA, in 1965. Together with her, he returned to Uganda in the late 1960s under a Fulbright Fellowship to conduct research for his PhD. Mrs. Dwyer passed away in 2005. Dr. Dwyer held academic and leadership positions at Pomona College, Centre College, the University of San Francisco, the University of Detroit-Mercy, and Thiel College. In 2005 he retired from the Southern Association of Colleges and Schools of Decatur GA. In 2015 he married his longtime partner Jan Kerr of Washington DC. Dr. Dwyer is survived by his wife; his brother Alan Dwyer; his sister Ann Dwyer; his children Matthew Dwyer, Patrick Dwyer, and Cornelia Rath; and two grandchildren. He is also survived by three stepchildren and five stepgrandchildren. A burial service will be held at Monticello Gardens, Charlottesville VA on July 1st at 11AM. Donations in Dr. Dwyer’s memory can be made to Michael J Fox Foundation for Parkinson’s Research and the American Civil Liberties Union. Those wishing to send flowers may contact Gawler’s Sons (5130 Wisconsin Avenue, NW, Washington, DC 20016).